Editor’s note: Environmental activist Eric McDavid was recently released after nine years in prison following a court ruling where the government acknowledged withholding evidence during his trial. New evidence has surfaced of how an FBI informant, “Anna,” not only attempted to coerce the group into illegal actions, but used McDavid’s romantic feelings for her to entrap him. Such devious tactics by law enforcement are unfortunately not unique. This is a case study by Professor Michael Loadenthal of how police have used sexual relationships in the pursuit of activist surveillance. The exploitation of human sexuality is a well-known pressure point in the repression of social movements. Typically such measures are thought to be reserved for military conflicts involving complex, multi-tiered, counter-insurgency campaigns, such as the Israeli-Palestinian conflict. Throughout the first and second Palestinian uprisings, Israeli intelligence forces regularly recruited Palestinians for collaboration after first documenting them in precarious sexual situations. Classically, Israeli handlers would observe and record a Palestinian engaging in extra-marital, homosexual, or otherwise ‘deviant’ sexual behaviors and then leverage the publicity of these filmed vices in exchange for actionable intelligence leading to the capture of wanted Palestinian fighters and activists. Though such methods may be more familiar to students of ‘traditional’ warfare, the collection of intelligence through the exploitation of trusted social network is a common domestic policing strategy as well. A 2014 study demonstrated that 81% of “law enforcement professionals” use social media (e.g. Facebook, Twitter, Instagram) in their investigations, and that 80% agree that the creation and management of fake social media profiles is an “ethical” practice in law enforcement. In 2011, the British press was made aware of several undercover police agents who were infiltrating protest movements throughout a 40-year period. Of the seven undercover officers initially exposed, five were found to have had sexual relationships with women. Often times these were women the officers were tasked with monitoring. These sexual liaisons between cop and activist were the product of misrepresentation. Subsequent investigation into the actions of these officers exposed 10 individuals, nine of which who had sexual relationships with activists. The following will provide brief biographical profiles of these individuals. In doing so it is my hope that movements can learn from these examples and improve our resistance to infiltration and disruption. The purpose of these methods is to reverberate distrust, fear, uncertainty, suspicion and divisions amongst our friendship circles, our communities and our wider social networks. I also apologise unreservedly for forming false friendships with law abiding citizens and in particular forming a longterm relationship with [the woman] who had every reason to think I was a committed animal rights activist and a genuine London Greenpeace campaigner. Not only was Lambert involved with the unnamed 24-year-old, but a year or so prior, he also had a sexual relationship with a second female whom he fathered a child with before disappearing. Lambert met the female activist whom he was meant to spy on in the “mid-1980s” and had a son with her in 1985 before breaking up in 1987. When the child was two years old, the female activist married a second man and Lambert surrendered his paternal rights. The woman came forward in early 2013 after seeing Lambert’s 1980s picture in a newspaper and recognizing it as that of her long lost ex-boyfriend and the father of their son. The woman reports that she met Lambert in 1984, and became involved in animal rights and involving herself in direct action networks. In 2013 Lambert admitted to having relationships with four women while undercover. Throughout this infiltration, Lambert was also legally married. 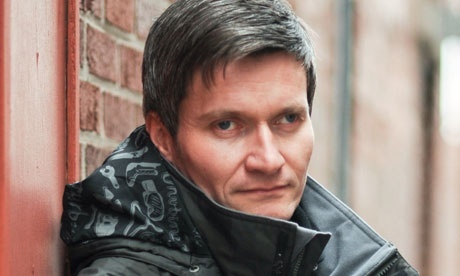 Lambert is one of at least two UK police infiltrators that fathered a child with a female activist who was targeted for surveillance. 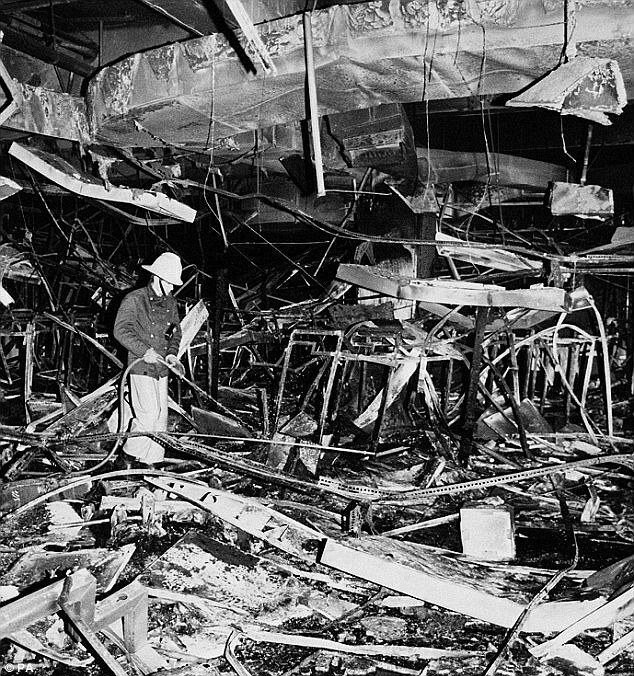 In addition to his service as a police agent and sexual infiltrator, Lambert also served as an agent provocateur carrying our acts of property destruction, including the use of arson, and attributing such actions to the ALF. 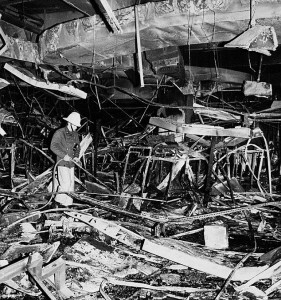 According to Member of Parliament Caroline Lucas, in testimony given to Parliament, Lambert was responsible for placing and detonating an incendiary device in the Harrow, northwest London branch of the Debenhams department store in 1987 in protest of its selling of fur. Lambert is also said to have admitted his involvement in the arson to a female activist. The arson was part of a three site simultaneous attacks with only two perpetrators arrested. According to testimony from one of the convicted arsonists Caroline Lucas as well as other evidence, Lambert was the third participant. Lambert, as expected, has denied these accusations but proudly asserts his role in providing intelligence that led to the arrest of the other two arsonists. The fires caused £7-8 million in damages and according to some, were instrumental in motivating the chain to cease the selling of animal fur. The purpose of the attack was for Lambert to garner credibility amongst his ALF community and convince them he was a committed activist. Since the exposure of Kennedy as a police spy, international activists have compiled an open-source, online, database attempting to document the host of protests, meetings and convergences in which he attended. Using the Powerbase platform, activists have linked Kennedy to at least 68 incidents, some covering multiple years. According to Kennedy, he was one of 15 police spies who had infiltrated environmental movements; at least four of these spies remain embedded in UK protest movements. After Kennedy’s infiltration became public knowledge, and he left law enforcement, he used his wealth of insider knowledge for personal financial gain, establishing a series of companies (e.g. Tokra Limited, Black Star High Access) thought to be private consulting firms. In a report by The Guardian, Kennedy used the privileged access he gained in police infiltration campaigns to act as a “corporate spy” while still maintaining his Mark Stone alter ego. Shortly thereafter, it was reported that Kennedy was working for a second spy firm in the US, Densus Group, targeting “anti-capitalist demonstrators.”Kennedy claims that during his sexual exploits, his police handlers “sanctioned” his actions, stating that some echelons of British policing was aware of his sexual relationships. Acpo president, Sir Hugh Orde told Members of Parliament that “he had no knowledge of the [Kennedy] case until the Guardian disclosed the prosecution of six activists…collapsed because of Kennedy’s role in it.” According to Kennedy, he was one of 15 police spies who had infiltrated environmental movements; at least four of these spies remain embedded in UK protest movements. While the UK’s infiltration efforts targeting social movements date back to at least to anti-war campaigners in 1968, the pervasiveness of establishing sexual partnerships appears to be a newly intentional strategy. 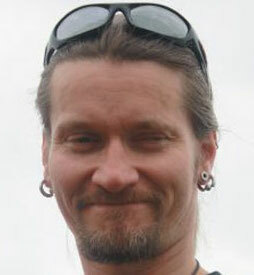 Detective Constable Jim Boyling, 28-years-old, posing as Pete James Sutton or Jim Sutton 34-years-old, infiltrated pro-bicycle movement Reclaim the Streets for five years (1995-2000) as a lead organizer, as well as having contact with additional environmental and hunt saboteur campaigns. During this time events were organized within the activist community designed solely to collect information on attendees. During his time within activist movements, Boyling married Angharad Bevan, the 28-year-old activist he was tasked to monitor, and fathered two children with her before divorcing. Boyling only made his superiors aware of his relationship in 2005 by informing a single senior officer close to the time he married Beven. His relationship with Beven was one of two sexual relationships Boyling had with females in activist networks while undercover. Both relationships were described as “serious.” At times Boyling worked directly under Bob Lambert, with Lambert acting as his handler. Jim [Boyling] complained one day that his superiors said there was to be no more sexual relations with activists anymore – the implicit suggestion was that they were fully aware of this before and that it hadn’t been restricted in the past…[Jim Boyling] was scoffing at it saying that it was impossible not to expect people to have sexual relations. He said people going in had ‘needs’ and I felt really insulted. He also claimed it was a necessary tool in maintaining cover. 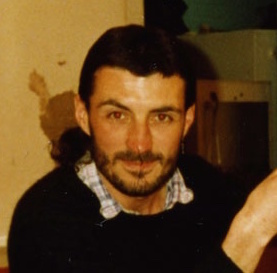 Boyling also reportedly perjured himself in court in 1997, giving evidence under oath (as Pete James Sutton) while concealing his true identity as a police spy during his prosecution alongside protestors arrested after occupying a government office. He changed the culture of the organisation, encouraging a lot of drinking, gossip and back stabbing, and trivialised and ran down any attempt made by anyone in the group to achieve objectives. He clearly aimed to separate and isolate certain people from the group and from each other, and subtly exaggerated political and personal differences, telling lies to both ‘sides’ to create distrust and ill-feeling. In the four years he was in Cardiff a strong, cohesive and active group had all-but disintegrated. Marco left after anarchist meetings in the city stopped being held. Following Jacobs’ exposure as a police spy, his activist girlfriend stated, “I was doing nothing wrong, I was not breaking the law at all. So for him to come along and lie to us and get that deep into our lives was a colossal, colossal betrayal.” According to additional testimony, a second female also maintained a dating relationship with Jacobs but littler more information is available. Sergeant John Dines, posing as “John Barker” infiltrated London Greenpeace as well as unnamed anti-capitalist groups from around 1987-1992. 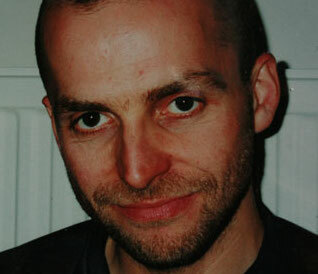 He worked with the Metropolitan Police’s Special Demonstration Squad and began infiltrating Greenpeace following the departure of Bob Lambert. In 1990, Dines began a relationship with Helen Steel, and abandoned her in 1992 feigning a mental breakdown. When Steel sought to track down the whereabouts of her boyfriend, she discovered that John Barker was really Sgt. 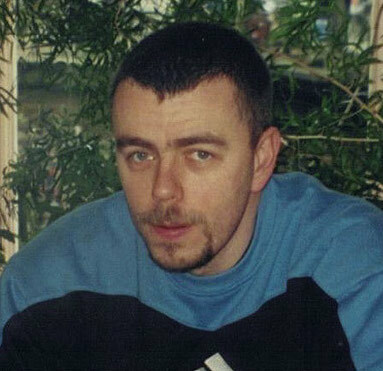 John Dines who had stolen the name of Phillip John Baker, a child who had died of leukemia years prior. Steel also discovered that Dines has been married since 1977. The Dines/Barker case is said to be one of at least 80 similar occurrences organized by Scotland Yard over a 30 year period wherein police adopted the names of dead children in order to produce false identities and documents with verifiable back stories. Other police spies utilizing sexual infiltration, including Bob Lambert, also used the identities of dead children to create false names and documents. According to Lambert he adopted his identity from that of a seven-year-old child who died of a heart problem, and stated to media sources that the UK Home Office was aware of this practice, and that it was widespread. According to activists, at least two additional undercover informants were also present and had sexual relationships with activists. They have been named as Rod Richardson and Simon Wellings. According to Evans and Lewis, Richardson was not sexually involved with activists. While it is unknown if Wellings had relations with activist women, his behavior mirrors that of other informants, collecting and reporting on the personal details of activists such as their friendship circles as well as sexual preferences and partners. It is reported by the BBC that Wellings infiltrated anti-capitalist group Globalize Resistance from 2001-2005. 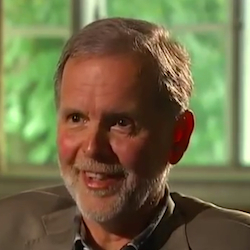 Michael Loadenthal has been involved in a number of political projects around the world for the past 15 years, and at present splits his time as an adjunct professor (Georgetown University & George Mason University), Dean’s Merit Fellow (George Mason University) and research fellow (University of Cincinnati/Hebrew Union College). He can be reached at michael.loadenthal@gmail.com. For a more detailed analysis, view his article in Critical Studies on Terrorism.